Located 3 miles from Manhattan, yet we are away from the hustle and bustle of New York City. NJ Transit Bus is available to New York City every 20-30 minutes near our hotel. The journey takes approximately 15 minutes to the Port Authority, a major terminal located on 42nd Street and 8th Avenue, with connections to the subway system. We are within a few minutes to movie theaters restaurants, and shopping malls.With easy access to all major highways, our nearby attractions include, but not limited to: New York City, Time Square, Broadway Theaters, New York Museums, Rockefeller Center, Empire State Building, Southstreet Seaport, Jacob Javits Center, United Nations, Wall Street, Statue of Liberty, The Liberty Science Center, Giant's Stadium, Continental Airlines Arena, The Meadowlands Sports Complex, World Famous Secaucus Outlets, and many other Historical Landmarks.Our property features 124 rooms, with complimentary High Speed Internet access, a spacious work desk with two speaker phones (each with 2 lines), voice mail and data port. 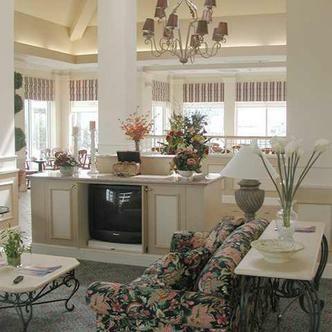 A Hospitality center includes a microwave, refrigerator and coffee maker. Iron and ironing board are also standard in all rooms.The hotel has a Business Center that is complimentary to guests and accessible 24-hours a day. The restaurant serves a prepared-to-order breakfast each morning. Meeting facilities of over 2,300 square feet with a capacity to seat 100 people. An indoor pool with whirlpool and an exercise room are also available.